Was the IRS scandal just the work of "a few low-level employees" in Cleveland providing bad "customer service?" It seems the targeting of conservative groups may have been more widespread than top officials initially let on, with 88 IRS employees now tasked with providing "relevant documents" in the search for the culpable parties. A few...a lot...not much of a difference, right? The Internal Revenue Service has told House GOP investigators they have identified 88 IRS employees who may have documents relevant to the congressional investigation into targeting of conservative groups, according to a congressional source familiar with the investigation. The request for documents was a bipartisan one, but Republicans are privately preparing to seize on the fact that if nearly 90 IRS employees may have been somehow involved in this targeting, it is evidence that the controversy extends well beyond the mistakes by a few low level employees. However, with no documents in hand, there is no way to know how many of the employees being asked to preserve documents were truly involved in the activity in question. The IRS, in a statement to CNN, said the large number reflects its effort to ensure they are as responsive as possible to the Congressional requests. While the agency maintains that all 88 aren't necessarily directly involved in the scandal--and despite the fact that they say they're just trying to help Congress out here--the fact that so many people might have "relevant documents" means this involves more than just a tiny number of rogue employees. "Almost 90" is not the same as "less than 10." And that must mean that someone up top knew about it, or utter incompetents run the agency tasked with collecting taxes. Either way, the leadership there needs to go, ASAP. The panel, led by Rep. Darrell Issa (R-Calif.), will hear on Thursday from Treasury’s inspector general for tax administration about “excessive spending” at IRS conferences. “The IRS is an agency in crisis," Issa said in a statement. "The American people expect that their tax-dollars will be used responsibly and not for financing lavish hotel suites and entertainment for government employees. The Oversight Committee will examine these egregious abuses of the public trust and an IRS culture that shuns accountability." 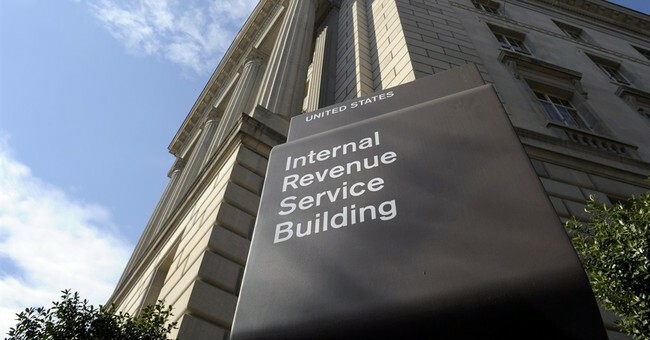 Danny Werfel, the acting IRS chief, said that the inspector general report would discuss an IRS conference from 2010 — "an unfortunate vestige from a prior era," as Werfel put it. "While there were legitimate reasons for holding the meeting, many of the expenses associated with it were inappropriate and should not have occurred," Werfel said.